The Ten Most Iconic Female Movie Characters – Blogathon & My Blogiversary!! Before I get into this I just want to tell you guys, today is my 1 year Blogiversary!! I started last year on Halloween and I am so glad I did this because I have made so many new awesome buddies out there. If you would like to send a present, please do, I accept gift cards, old DVDs, movies made by Luke and Eric, anything will do! I was recently nominated by the wonderful Boo-Rian, I mean Brian aka Proby extraordinaire, over at Hard Ticket to Home Video, to chime in on the ten most iconic female movie characters blogathon that has been passed around as of lately. As Brian mentioned in his post, I also racked my brain trying to figure out who to pick. 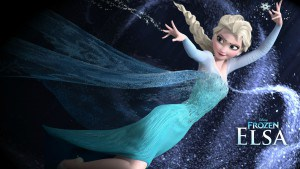 By the way I think Brian was totally right, Elsa is iconic, every little girl wants to be her right now and hell even grown women like myself love her. There were so many characters out there that came to mind Vivian Ward from Pretty Woman, Sally Albright from When Harry Met Sally, Baby from Dirty Dancing, Samantha Baker from Sixteen Candles and hey even Stifler’s Mom from The American Pie movies. But really I debated between the one I picked, Mia Wallace and Annie Hall. When it came down it I thought Mia Wallace was just too great to pass up, she inspired all the events that happened in Pulp Fiction and Uma Thurman herself was Quentin Tarantino’s muse. I am sure lot’s of people will be dressing up as her on Halloween, when someone is that iconic that they inspire Halloween costumes, then they deserve to be on this list. 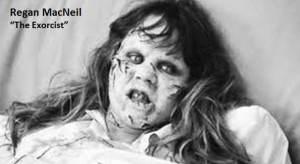 So for my pick I will take out the Exorcist chick because she is just too ugly to look at right now, seriously I agree she is iconic, but she is the only one I felt comfortable with taking out of the mix. For this challenge, I pass the baton to a super cool chick Devin Nicole Smith from Movies n’ Stuff. Ok girl it’s yours for the taking! Congrats on the anniversary, here’s to many more years. I also considered Mia Wallace, but I thought having two Uma Thurmans would be weird, but it isn’t! Very nice!! What a Baller! Hell yes thanks Baller! King of all Ballers! Nice to see Laurie here today! Thanks sounds good I will check out your post! You’re welcome! I was so focused on congratulating your blogiversary I forgot to say good pick with adding Mia Wallace. Uma Thurman is now on the list twice but that just shows how much of a badass she is. No prob! Agreed, I debated taking her Kill Bill character off, but I just couldn’t. It’s too good and equally iconic. Thanks Drew! Wahoo, happy blogiversary Melissa!! And Mia Wallace is such an excellent pick! Hey Anna! Thank you and glad you agree! 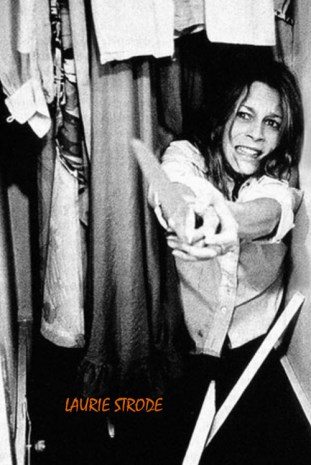 Hey, I’m all for you getting rid of that scary devil Regan, hiiiih that movie still traumatized me! 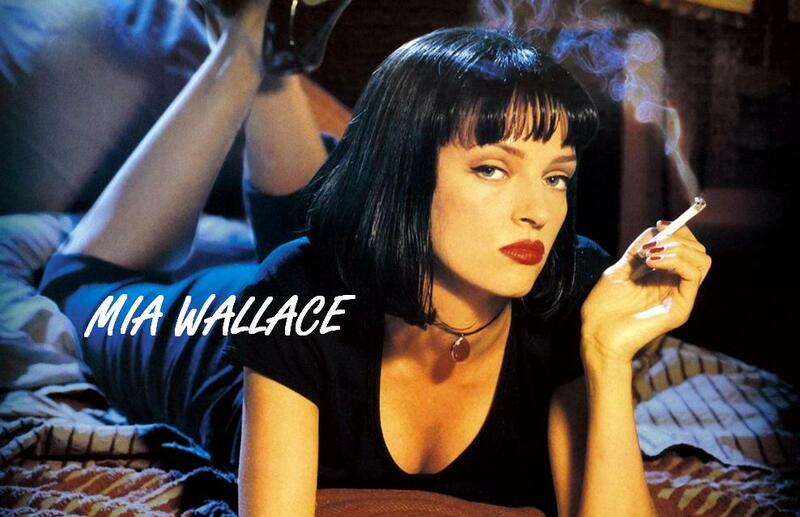 And Uma’s character in Pulp Fiction is TOTALLY iconic. I’m surprised she hasn’t been added before, so yay! Thanks Ruth! Agreed glad we found each other! It’s amazing what you’ve accomplished in just one year of blogging! I thought you’ve been doing this for a long time. Awww thank you! I put off doing this for so long, but now I am so happy I did! Congratulations! Awesome list as well. I can’t argue with your selection of Mia Wallace but I’d have chosen Sally Albright purely because When Harry Met Sally was the movie where I first fell in love With Meg Ryan. 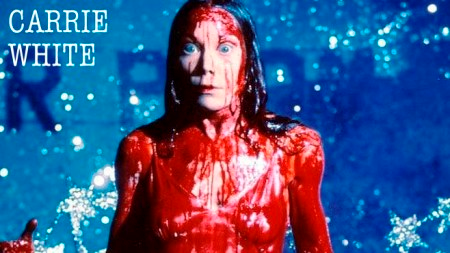 I once watched it on a date, and couldn’t help moaning and gasping whenever Meg would do something… roll her eyes, deliver a line, laugh… my date continually elbowed me in the ribs and got very agitated. No second date for us, but my love for Meg Ryan movies endures to this day. Awesome just looked at your blog, I too am a Meg Ryan fan. I really wish she wouldn’t have disappeared from making movies. Yes Sally was truly iconic in When Harry Met Sally and you know what I also thought of Michelle Pfeiffer in Scarface. Happy blogversary yo! And love that you pick Carrie as one of your favourites haha. Nice list! Great choices! I’d go with an older choice like Greta Garbo, Bette Davis or Audrey Hepburn. Bette Davis in whatever happened to Baby Jane or Audrey Hepburn as Holly Golightly. Yes those are both good ones! I did think about Holly Golightly that one is truly iconic. The cigarette, the hair, the clothes, the caf with no name and of course moon river. I recently went to the plsce where Audrey Hepburn was born. It was special! A very happy blogiversary to you, lady!!! I had no idea you started on Halloween, but that’s awesome! Here’s to many, many more! 😀 Nice choice with Mia! I love seeing all of the picks for this thing (and I’m very glad mine has lasted so long…lol)! Thanks Cara! I know random that it fell on Halloween and you know what got me to do it that day was I had been watching AHS coven… lol. I know your pick is hard to take out… I mean people really cannot argue that one away. I fear someone will take out of one of the Uma’s though. Congratulations on your blogiversary! Thanks for participating in my little relay. Very interesting choice. Not that she’s not iconic, just that Uma Thurman plays two of them. Hmmm. Sad to see Regan go, but someone has to. Nice work. Thank you!! I know right I was torn on taking away the Bride, but like you said with Regan one of them had to go. Excellent pick right there lady, totally agree with her! Not easy to pick ladies for this hey?? Happy blogiversary! Sorry, scrambling to do some catch up here, been so busy with exams. I am so sorry I have been so neglectful! FORGIVE ME!!!!!!!!!! Thank you Zoe! No prob same here I have had so much going on I feel like I have neglected my blogging duties. So much catching up to do. Totally understand!